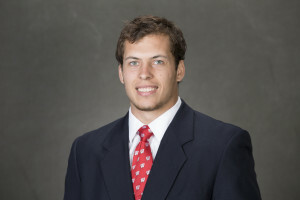 Joe Schobert (Photo by David Stluka). Wisconsin Badger senior outside linebacker Joe Schobert was named the Wisconsin football team’s most valuable player as awards were handed out at the teams annual banquet on Friday night. Schobert received the Jimmy Demetral Team MVP award, headlining a list of winners that included nine members of the Badgers’ senior class. Senior wide receiver Alex Erickson was named the team’s Offensive Player of the Year for a season that has seen him pull in 72 catches on the way to first-team All-Big Ten honors. Erickson needs 76 yards to become the fourth player in school history with a 1,000-yard receiving season. Senior safety Michael Caputo took home Defensive Player of the Year honors for his contributions to a defense that ranks No. 1 nationally, allowing 13.1 points a game. Sophomore Natrell Jamerson, who returned a kick 98-yards for a touchdown at Maryland, was named Special Teams Player of the Year. Wide receiver Alex Erickson has provided another ringing endorsement for the Wisconsin football team’s walk-on program. The former walk-on from Darlington was named a first-team all-Big Ten pick by the media and a second-team pick by the coaches. Erickson leads the Badgers in receptions (72) and receiving yards (924). Erickson is third in the Big Ten in receiving yards per game (77.0) and needs 76 more yards in Wisconsin’s upcoming bowl game to become the fourth player in school history with a 1,000-yard receiving season. Redshirt senior offensive tackle Tyler Marz was named a second-team pick by the media and a third-team pick by the coaches. Redshirt sophomore tight end Troy Fumagalli was a consensus honorable mention pick and redshirt freshman Michael Deiter was named honorable mention by the media. Bart Houston had only thrown nine passes all year. 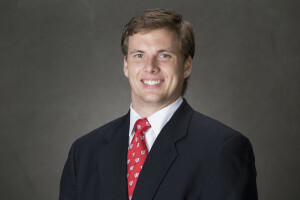 But when starting quarterback Joel Stave left the game with a head injury, Houston answered the call. Houston threw for 232 yards and two touchdowns to lead the Wisconsin Badgers (6-2, 3-1) to a 24-13 win over Illinois. Houston hit Alex Erickson with a nine-yard touchdown pass in the fourth quarter to give the Badgers a two score cushion and put the game out of reach. Erickson had a big day, catching ten passes for 96 yards and rushing four times for another 81 yards. Robert Wheelwright caught Houston’s first touchdown passes in the second quarter. Alec Ingold scored again for the Badgers, a two-yard touchdown run. Wisconsin will host Rutgers this coming Saturday at Camp Randall Stadium. Beau Benzshawel: (Photo by David Stluka). 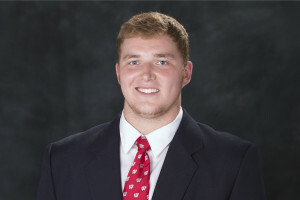 Wisconsin right tackle Beau Benzschawel is back on the practice field as the Wisconsin Badgers get ready for Saturday’s Big Ten matchup at Nebraska. Benzschawel has been out with a knee injury since preseason camp back in August. The redshirt freshman took about half the snaps with the number-one unit and offensive coordinator Joe Rudolph says he did well. It’s possible that Benzschawel could play on Saturday. The Badgers and Cornhuskers are both 0-1 in Big Ten play and both need a victory to stay in contention for the Big Ten Western Division crown. The Badgers also don’t know if they’ll have wide receiver Alex Erickson for that game. Wisconsin’s leading pass catcher continues to go through a concussion protocol after being hurt in the loss to Iowa last Saturday. Erickson says he went through a light cardio workout yesterday. The Wisconsin Badgers are preparing to be without two of their top offensive weapons when they take on the Nebraska Cornhuskers on Saturday. Tight end Austin Traylor suffered an arm injury in the fourth quarter of Saturday’s Big Ten opener against Iowa and is out indefinitely. Wide receiver Alex Erickson suffered a concussion in the third quarter of the 10-6 loss to the Hawkeyes and is going through the teams concussion protocol. He is not expected to be ready to play this week. Erickson leads the Badgers in receptions with 26 and receiving yards with 350. Traylor has 10 catches for 156 yards and three touchdowns. Troy Fumagalli is expected to take Traylor’s spot and be backed up by Eric Steffes. 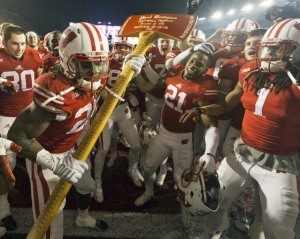 After falling behind 17-3, the Wisconsin Badgers rebounded for a 34-24 win over the rival Minnesota Gophers to clinch a spot in the Big Ten title game and retain Paul Bunyan’s Axe for the 11th straight season. 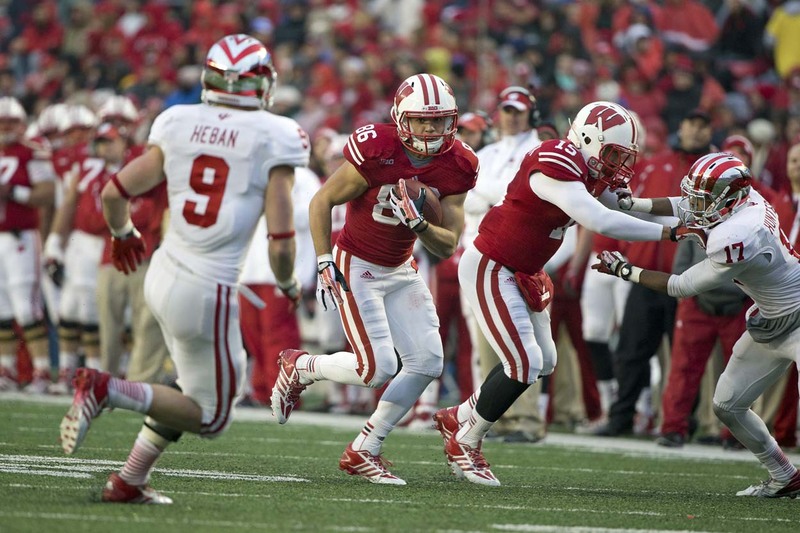 The 14th ranked Badgers (10-2, 7-1 Big Ten) captured the Big Ten’s West Division title and will face No. 6 Ohio State (11-1, 8-0) on Saturday in Indianapolis. The Badgers last won Big Ten titles in 2011 and 2012. The Buckeyes closed out the regular season with a 42-28 win over rival Michigan earlier in the day in Columbus, but in the process, the Buckeyes lost their starting quarterback J.T. Barrett for the rest of the season with a broken ankle. When Western Illinois loaded the box to try to stop the Wisconsin Badgers running game, the passing game had the perfect opportunity to show they could do better than the 50-yard performance the week before in a loss to LSU. Tanner McEvoy and his receivers answered the bell. Western Illinois held Melvin Gordon to 38 yards on 17 carries, but McEvoy completed 23 of 28 for 283 yards and three touchdowns to lead Wisconsin to a 37-3 win over the Leathernecks. Those numbers could have been better had Reggie Love held onto a deep pass that should have resulted in a 67-yard touchdown. McEvoy’s top target was redshirt sophomore wide receiver Alex Erickson, who caught 10 passes for 122 yards. Senior tight end Sam Arneson added four catches for 87 yards. Western Illinois did move the ball early against the Badgers, but committed two turnovers. They finished with 162 yards in all. The Badgers improved to 1-1 with the victory and get a bye week off. They’ll face Bowling Green next, on September 20th at Camp Randall Stadium.